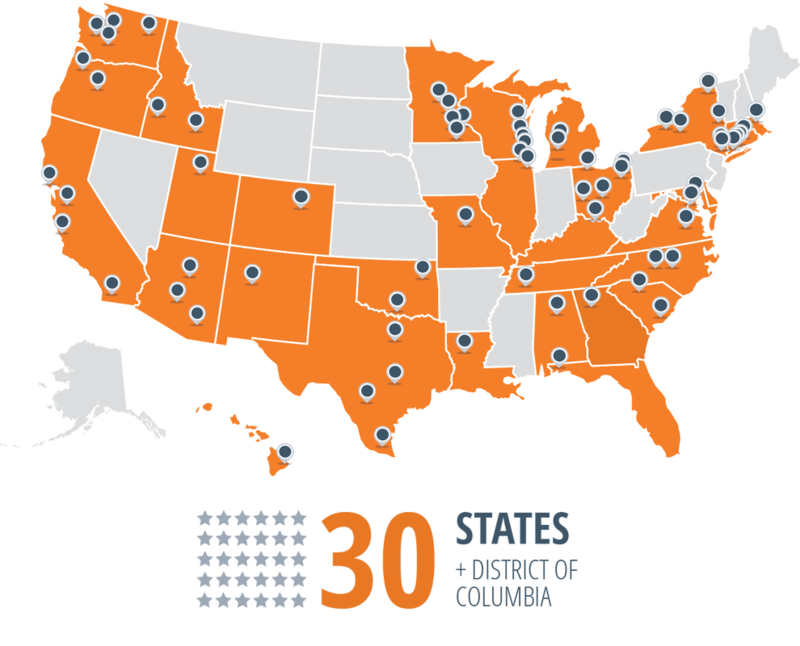 Building Our Future is a member of StriveTogether's national network. We are deeply connected to more than 68 community partnerships throughout the nation. The StriveTogether framework provides us with strategic assistance that helps build on opportunities, solve issues and overcome challenges. Based on StriveTogether's Theory of Action, we are currently in the Sustaining Phase and are working towards Systems Change. “To ensure the best possible future for our community, we need to make sure that everyone has the opportunity to earn a great education. As a member of StriveTogether's national network, Building Our Future is Kenosha County's first cradle to career collective impact effort focused on education and workforce development. We are a group of community members and leaders from the education, non-profit, business, faith, community civic and philanthropic sectors who are working together to improve student outcomes. ​Our partnership unites existing programs, organizations, and community resources to reach our shared goals. We use data and evidence to make decisions and hold each other accountable for achieving results. Strive Together exists in 30 states and engages nearly 11,000 organizations, reaching over 8.2 million students. "United Way of Kenosha County is dedicated to ensuring every child in our community leads a healthy productive life. We support the work of Building Our Future as education is the cornerstone to a child's development and future success. ​Our partnership is important because it strengthens the alignment of all education sectors in Kenosha County which are working together to ensure cradle-to-career success for all children." Because cradle to career spectrum is such a wide range, the StriveTogether partnership organizes this into separate outcome areas - what we call our roadmap.